The secret of raising your children and having the joy of the Lord at the same time is a closer walk with Jesus. As part of the “Women of Joy” ministry at Calvary Houston, the Joyful Moms support group’s vision is to reach out to women with children 10 years and younger, encouraging them to raise their children with great joy! The monthly meetings provide a time of sweet fellowship, including a book study and discussion, as well as time for praying for one another and the children represented. We meet once a month on Saturday mornings from 10:00am – 12:00pm (dates listed below) at Calvary Houston in the Children’s Church wing, Club 56. 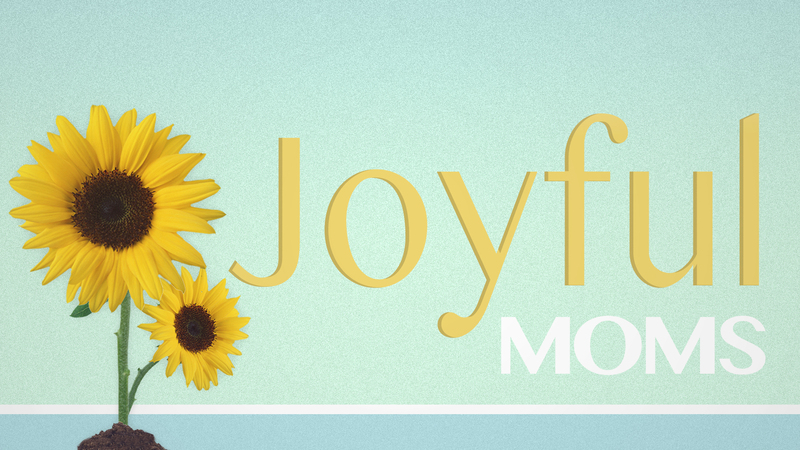 Connect with Joyful Moms to find support through fellowship, prayer, and shared wisdom gained through experience. Register at the Connection Center in the Lobby. We pray this ministry will help bring joy to moms as they fulfill their God-given calling as godly moms and women! UPDATE: At this time, the Joyful Moms support group is full. Registration will begin again next year. Want to know more about this ministry? Send an email to Joyful Moms or feel free to call the church office at (281) 648-5800 during regular office hours.